Android enthusiasts in the US have eagerly been awaiting the opportunity to obtain Huawei smartphones through their carrier. We were expecting a confirmation at CES 2018 that AT&T would sell Huawei devices, but the deal seems to have fallen through due to political pressure from the US government. Faced with similar rumors concerning Verizon, Hauwei CEO Richard Yu has addressed these concerns in his keynote speech. Could Huawei be the next Samsung? It's no secret that Huawei is trying to crack the US market, and it is already possible for stateside customers to obtain several select models unlocked. But if the brand really wants to make it into the mainstream, it needs to strike a deal with carriers that can offer their phones through a contract. At the end of last year, it seemed like a done deal that Huawei's first official American carrier would be AT&T, offering the Huawei Mate 10. We were expecting this to be officially announced at CES 2018, but in the end it looks like the deal has been stopped by the US government, citing concerns of Chinese espionage. According to The Information, a letter dating December 20 from a committee of the US Senate accuses Huawei of links with the Chinese Communist Party and its secret services: "Our committee's further findings on this matter have only strengthened concerns over the espionage of Huawei and China,". As a consequence, AT&T cancelled the deal. According to our colleagues at Android Police, AT&T isn't the only US carrier feeling the heat. A source familiar with the company's plans has stated that Verizon was to carry the Huawei Mate 10 this summer, but this was pushed back to fall due to political pressure, and now it looks like the deal will be dropped altogether. This comes as a major blow to Huawei's American ambitions, as manufacturers who cannot offer their phones through providers such AT&T, Sprint, T-Mobile and Verizon cannot hope to become household names. 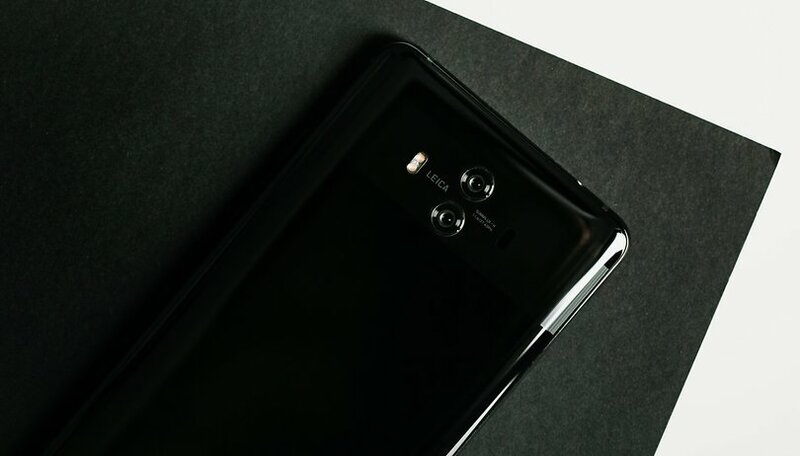 For Huawei, the AT&T deal was also a prestige project to shore up their reputation as a premium manufacturer, leading with their Mate 10 Pro flagship. Do Chinese smartphones pose a security risk to the US? Previously, US authorities had accused Huawei and other Chinese manufacturers of spying on behalf of the Chinese government. However, these accusations have not been proven, and Huawei has always denied any ties to Chinese espionage. Nonetheless, the US government is concerned enough to put pressure on American carriers not to offer Huawei devices. This hardline stance and lack of trust may simply be an indication of the current administration's 'America first' nationalism. Certainly, President Trump has made no secret of his suspicion of China ever since his campaign, and this hasn't helped relations between the two powers. It would be naive to think that our data isn't being collected by the devices that we use, and corporations can be quite sneaky about their spying—just look at what happened with OnePlus. Of course, this isn't a phenomenon exclusive to Chinese companies. US tech giants such as Google and Facebook also make their fortune gathering user data. Would you give up your privacy for a cheaper smartphone? Everyone knows that this data is ostensibly used by corporations for market research and targeted advertising, but it can also be used by political organisations, for example, to target propaganda during elections. The question here is, would Huawei sell the user data to the Chinese Communist Party? The average user might not be too concerned where their data is going, whether it is to private companies, their own government, or a foreign one. One thing's for sure though, as a consequence of this political intrigue, stateside consumers will miss out on some pretty good smartphones in the name of national security. Huawei has undergone an enormous rise in recent years. Since entering the end-customer market under its own brand in 2011, Huawei has made it to third place behind Apple and Samsung, and has at times even taken second place. However, Huawei will probably only be satisfied when they have reached the top—and this will hardly be possible without the US market. Huawei's entry to the US market would be beneficial for consumers. Richard Yu, the CEO of Huawei’s consumer products division, confirmed this during his keynote at CES, presenting the Mate 10 Pro for the US market. Here at AndroidPIT, we've generally been impressed with the quality of Huawei's phones. Their arrival to the US market could have disrupted the complacency of other premium manufacturers, which are generally following Apple's lead in driving prices ever higher, breaking the $1000 mark. Huawei Mate 10 Pro vs Galaxy Note 8: Similar but with crucial differences. It looks like Huawei has yet to give up on their American dream, so it remains to be seen what will come of this. What do you think? Is the US government justified in its suspicion of Huawei? Or is this completely unfair to US consumers? And what about Google and all their data? I'd reserve judgment. These things usually prove out one way or the other. The "Adups" scandal with Blu and other China phones had two unremoveable bad apps pre-installed, for which Amazon banned them until proven they were only sold with developing market and not US phones: com.adups.fota.sysoper and com.adups.fota. Even if innocent, Huawei might have to discount its devices after the bad press. I know most would gladly buy a smart phone if they can see the device up close .... the Mate 9 sold out at Best Buy when you could see it up close (same with the ZTE Axon 7); now imagine if the Mate 10 was available at Walmart (Straight Talk is GSM Network - right?) - and please stop this "made in China spies on you" rubbish! I do feel this device can sell without a Carrier, but the price needs to drop to $499 (even the Honor 10V looks awesome)! Ironically the U.S. government lets the U.S. be flooded with millions of Chinese wifi cameras into the U.S. that are proven to have backdoor flaws. Huawei offers so much quality in its products it does not need to be tied to a U.S. carrier. Let the market continue to buy unlocked devices with Kirin processors, select the sim card of choice and flash that "bang-for-the-buck" grin. Apple phones are made by Foxcon- based in CHINA. American protectionism in favour of apple. This isn't new with Huawei. Now, is there anyone else that believes in free market, capitalism, liberalism and other mantras that we are keep bombed with!? What does this have to do with Capitalism? Question: Do you think if Huawei collected data and the Chinese government wanted it that they would have a choice? Nope. Huawei management was at one time in the military.